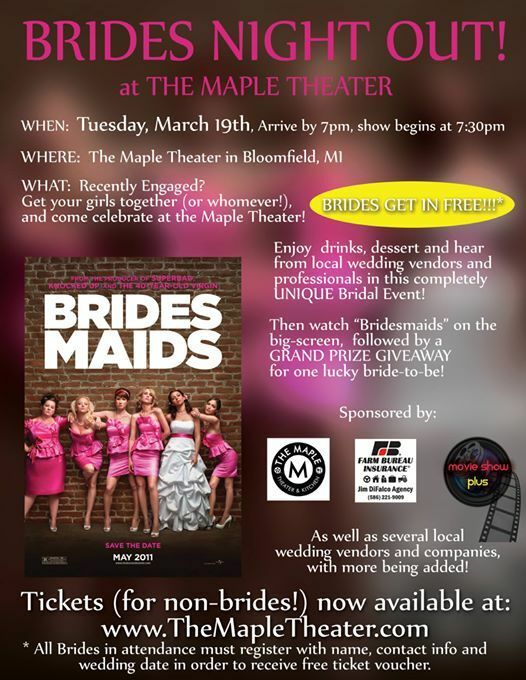 Brides Night Out at The Maple Theater! and come celebrate at the Maple Theater at this incredibly UNIQUE Bridal Event! Grab some drinks and dessert and mingle in a relaxed atmosphere with local wedding vendors and professionals, then settle in to watch the comedy "Bridesmaids" on the big-screen! After the show, one lucky bride-to-be in attendance will win a GRAND PRIZE GIVEAWAY full of special discounts, deals and freebies provided by our wedding sponsors! Best of all BRIDES GET IN FREE by registering at the event! All other tickets are $8 and are now available at www.TheMapleTheater.com. 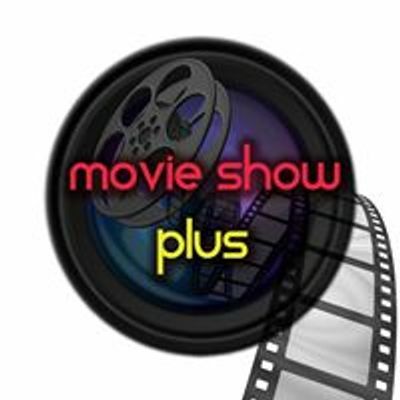 This event is co-sponsored by The Maple Theater and Jim DiFalco Farm Bureau Agency, and brought to you by "Movie Show Plus." Here are some other sponsors we have lined up for this event, with more being added every day!